Summit County, CO (November 13, 2008) --- Team Summit, a local non-profit organization, specializes in on-snow training for up and coming ski and snowboard competitors.&nbsp; The program has a solid history in alpine racing and freestyle skiing, preparing many of their former students for careers as professional athletes, i.e. Toby Dawson, Jeremy Bloom, and Bobby Brown.&nbsp; This year, Team Summit is offering a specialized terrain park camp during the week of Thanksgiving. This year&rsquo;s guest coach, Travis Redd, has starred in Level 1 production&rsquo;s High Five, Shanghai Six, Long Story Short, REAL TIME, and Turbo. Travis is one of the foremost urban rail sliders and backcountry skiers in the biz. This will be Travis&rsquo; second time guest coaching a Team Summit Camp. The camp will include training and instruction from seasoned professionals, on rails, jumps and half pipe.&nbsp; It is offered from Tuesday November 25th to Sunday November 30th (excluding Thanksgiving Day) and will hold training at Copper, Breckenridge and Keystone Mountain.&nbsp; Skiers are able to attend the camp on a per day basis, for $70 a day, or pay $300 for the entire camp. Team Summit Members receive special pricing. Readers interested in learning more about Team Summit can visit http://www.TeamSummit.org. 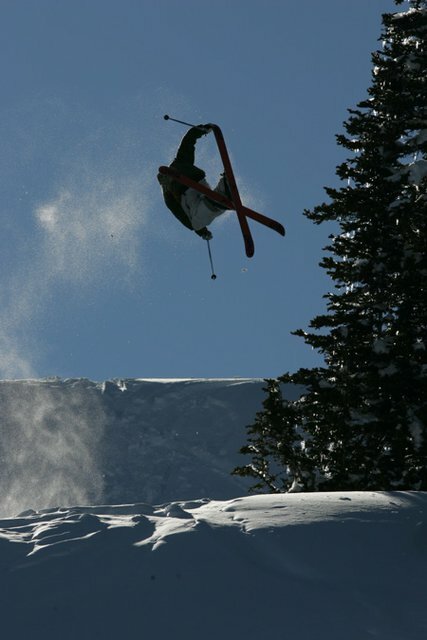 Team Summit is a non-profit organization that provides year-round programs in snowboarding, alpine, freestyle and telemark skiing, to residents of Summit County, the Front Range, and guests.&nbsp; There is an emphasis on team participation, goal setting and a life-long involvement in on-snow sports.